Remortgage with a default on Creidt File - Can i & How Do i? When applying to remortgage your home, the lender will look at your credit report as an indicator of your lending risk level. If you have a credit report with no late payments, this will show that you are good at managing your debt and that you are a low-risk borrower. If, however, you have something known as a default on your record, this can be a sign to lenders that you are a high-risk borrower. When you enter into a credit agreement with a lender, you often agree to make regular monthly payments. If you miss these payments for consecutive months, the lender can decide to revoke the lending agreement and demand the payment in full. You will be issued with a default notice and the lender will then take steps to recover the debt. This might mean passing your debt to a debt collection agency. Why are defaults bad for your credit score? If you have a default on your credit report, this is an indicator to lenders that you have a history of struggling to repay your debts. Even if you pay back the debt in full, a default will remain on your credit report for six years. During this time, you may struggle to get loans, credit cards, and mortgages. If you already own property, you will also struggle to remortgage. Can I remortgage with defaults? Remortgaging your property can help to lower your monthly payments, give you a better rate, or free up money for home improvements. Many people remortgage in order to take control of their finances. If you have a default on your credit report, remortgaging your property might be more difficult but not impossible. Not meeting all of the above criteria certainly isn’t always a deal breaker in terms of remortgaging, but it will make things trickier to get a deal with the best possible rates. What can’t be underplayed is the importance of checking that the aforementioned credit reference agencies have the right information about you. Even if you’ve settled the debt that led to your default, it might not have been communicated to all three agencies. Creditors often only inform one of them that you’ve settled the debt and sometimes the one they have told has the wrong dates. If you find that your default dates are inaccurate, you can rectify the problem by writing to the offending creditor. Telling the credit reference agency that it’s wrong will only result in a message being sent to the creditor, so you’re better off doing it yourself. Every lender has different criteria and will also take personal circumstances into consideration. This means that being rejected by one lender does not mean that you will be rejected by all lenders. It’s important to shop around as there are many mortgage providers who specialise in lending to people with adverse credit history. Some people prefer to wait it out and delay their remortgage application until after the default has dropped from their credit score. This is a good option if you need some time to get your finances in order. If the default is not your only adverse credit signal, then it might be better to wait and use the time to get your finances in order. If you notice a default has been added to your credit file and you are unsure of the origin, it’s important to find out why it is there. Likewise, at the end of your default period, you should make sure that the default is removed on time as these can sometimes be missed. Many people get caught out by applying for credit at the end of the default period without checking if it has been removed. This goes to show the importance of keeping an eye on your credit score will all three credit checking agencies, Equifax, Experian and CallCredit. If you’ve had money problems in recent years, then you’re likely to have some defaults on your credit file. A ‘default’ is the official term given for when a person fails to meet their obligations to pay back monies owed to a person or to a company. When a company registers this default with one or all of the three main UK credit reference agencies (Call Credit, Equifax or Experian), it leaves an almost indelible mark on your report that will take as much as 6 years to be expunged and will invariably knock down that all important credit status score. There are a number of reasons why someone might want to remortgage. It could be that you’re trying to consolidate your debt, free up some equity to enjoy life a little more or fund a business. The purpose of the freed funds will also play a part in whether or not your application is successful, as moves like remortgaging can significantly improve the stability of person’s financial situation – which is always viewed positively by lenders. Whilst defaults on your file might not be a huge issue if the loan to value (LTV) of your current mortgage is very low, things can be a bit trickier if you don’t have a ton of equity behind you. This is why remortgaging through a specialist mortgage broker is such a good idea, as you’ll get access to lenders who don’t evaluate your application based on an immutable set of lending criteria. Even if your credit score isn’t the best, as long as you can provide evidence of the affordability of your remortgage, you’re going to stand a very good chance of being successful. At Niche Mortgage advice, we have teamed up with a carefully selected group of exactly this kind of mortgage advisors who are able to find deals and rates you won’t find on the high street. Even if you’re not weighed down with a bad credit history, it’s still a good idea to talk to them, as you might find a deal that better suits you than you’ve found already. These rules are the only ones that typically can’t be gotten around, so if any of these apply to you, you might have to have a rethink about how to proceed. 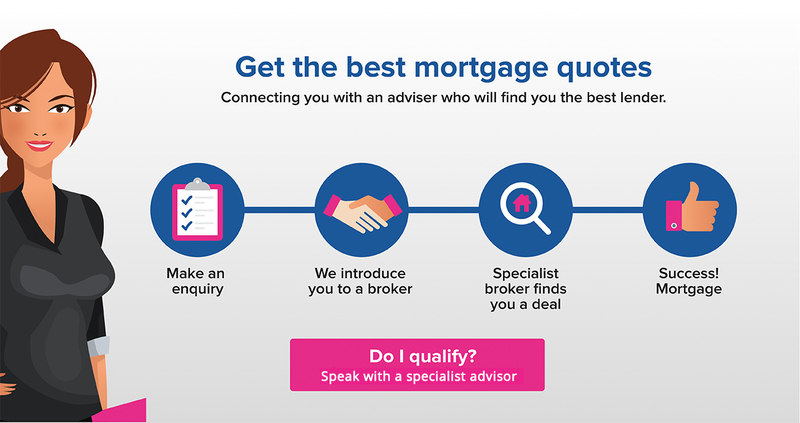 You should of course talk to one of our recommended mortgage brokers before you make any decision, as there could be a different way to approach your objective or something you haven’t thought of yet. There are a number of things you can do to improve your credit score, the details of which can be found on our Improve your credit score page. The higher your score, the more options that your broker will be able to find for you, so it really is worth the effort. Browse through the rest of our site for details of things like remortgaging after an IVA, getting a mortgage after bankruptcy and much more. Alternatively, to talk to one of our recommended brokers, click here.